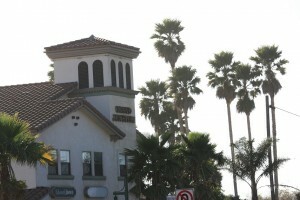 Grover Beach Real Estate Statistics by Kevin Jones at Realty Professionals. 805-474-7040. Here are the Statistics for the month of April 2012 in Grover Beach California. Well situated and centrally located within the 5 Cities on the Central Coast of California Grover Beach is a much desired beach community that offers a hometown feel without the big city atmosphere. 12 miles south of San Luis Obispo (SLO) and 24 miles north of Santa Maria, Grover beach shares boundaries with Pismo Beach Arroyo Grande and the city of Oceano. On a larger scale the 5 Cities are located almost exactly half way between Los Angeles and San Francisco! With tons of activities all around you will be active all year round! The San Luis Obispo (SLO) real estate market appears to be trending about 4 years behind the Los Angeles real estate market in many areas, Bank Foreclosures or REO properties, Short Sales, Notices of Defaults and also the price ranges in which these properties “Fashionably” become delinquent. The prices have dropped on the Central Coast, but not nearly as much as the Metropolitan areas such as Los Angeles and San Francisco. Some say that we are at the bottom price wise now, I tend to believe that due to the fact that there is a large amount of “Vacation” homes and Secondary homes here that the wealthier were able to hold on a little longer and were are seeing the amount of Notice of Defaults (NOD) climbing and many more short sale listings and sales happening. There were 6 new properties that were listed for sale with an average list price of $421, 765. The lowest list price was $298,690 and the highest list price for new listings was $649,000. These are properties that have to be sold via the Short Sale process in which the Bank or Investor has to take a loss and approve the sale. There were 6 new properties that were reported Contingent Short Sale with an average list price of $256,600. A Pending Sale is when all contingencies are removed and the escrow is typically stable. There were 10 properties were reported Pending in the month of April with an average list price of $349,290. These properties will be closed sales were the interest of the property was transferred to another person or entity. There were 11 properties that closed escrow with an average closed price of $329,216. There were two properties that their listing agreement expired. Meaning that the home did not sell in the amount of time the contract was written for, in this case one was 72 days and the other was 1,054 days! This is when the listing agent has taken the property off the market but still under contract with the seller regarding the listing of the property. One property was on the market for 90 days the other for 13 days under the current listing and 441 with previous listings. If you are considering buying or selling in Grover Beach contact a Professional … 805-474-7040.